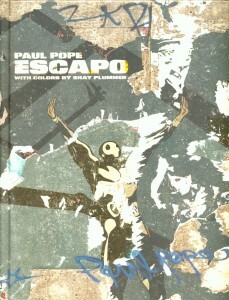 From the mind of three-time Eisner Award-Winner Paul Pope comes Escapo! 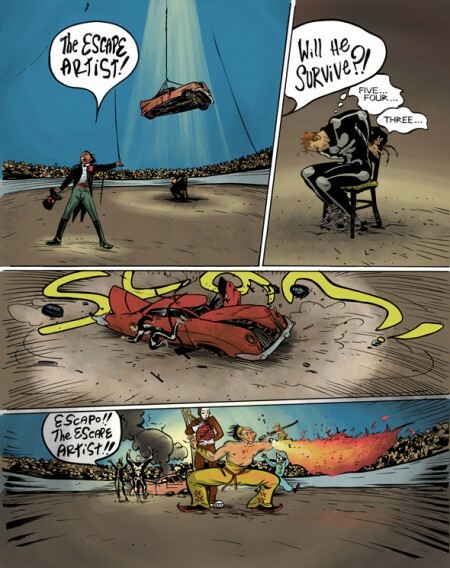 Like a feverish mash-up of Fellini films, Heavy Metal magazine, and classic Jack Kirby comics, Escapo tells the tale of a circus escape artist extraordinaire, who can escape from any situation – even from Death himself! However, there is one force even more powerful than the Reaper which Escapo must face. A meditation on life, love, and mortality, Escapo is not to be missed! Originally published in 1999 and long out of print, the new Z2 edition of Escapo is fully colored and redesigned in the French BD format, featuring 50+ pages of bonus content. Included here is the rare two-page alternate ending, only seen in the French edition, as well as a new ten-page story, added pin-ups and sketchbook content by Paul. Originally released in 1999 as two black and white comics, Escapo has been coloured and collected along with fifty pages of additional material for this new hardcover from Z2 Comics. 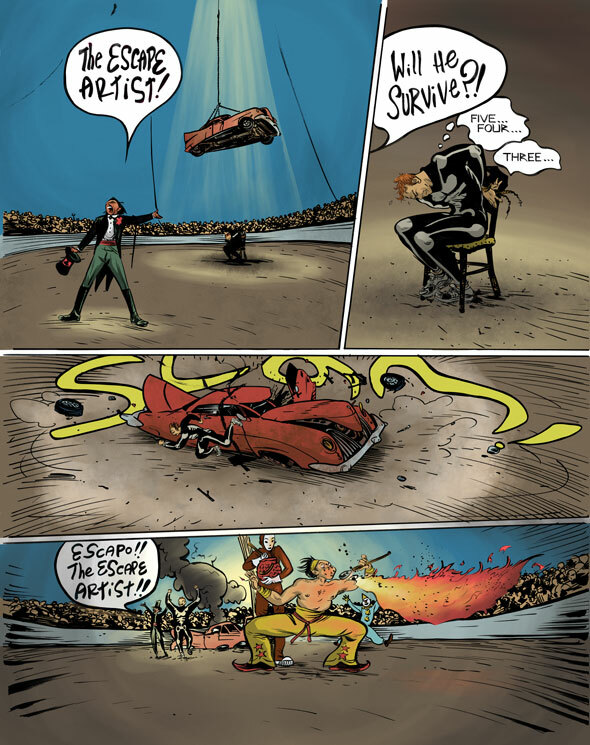 Escapo is a strong visual narrative, with more than it’s share of story being told through the strong and decisive images. Pope has an instantly recognisable style and it is in full form here. Two completely separate stories with our protagonist Escapo dealing with first love and then death. On the surface it appears a quick read because so much of the story is told visually, yet one has to slow down and take in Pope’s presentation through character’s facial expressions, body language and environment to digest the complete story. There isn’t much background or character development provided, just a slice of Vic’s life. We live in that moment and nothing more, much like the performer’s time in the center stage. Great stuff, indeed. 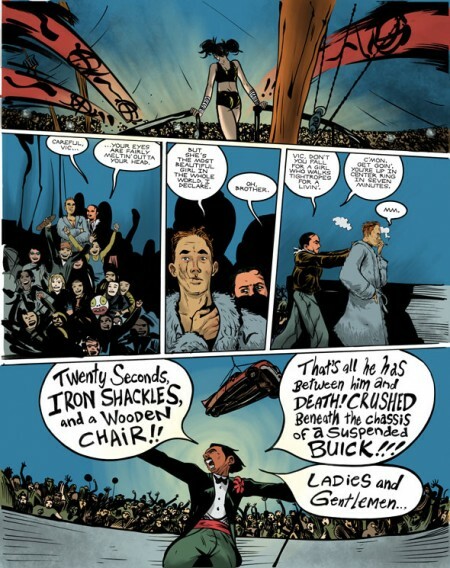 The original tales were printed in black and white, yet Shay Plummer’s colours are so strong and engaging it’s hard to imagine Escapo without them. A circus environment is all about bright and garish colours, and that contrasts with the quieter moments in the performer’s trailers. A strong play of light throughout. An overall digital look and feel but a key part of the overall dynamic. It’s a large collection of extras, including Pope’s roughs and notes and a pin-up gallery from other artists. Pope’s discussion of the period and his process is wonderful, titled Weapons Of Choice, but I would have preferred less extras and a lower price or including the black and white version so readers could enjoy both versions. 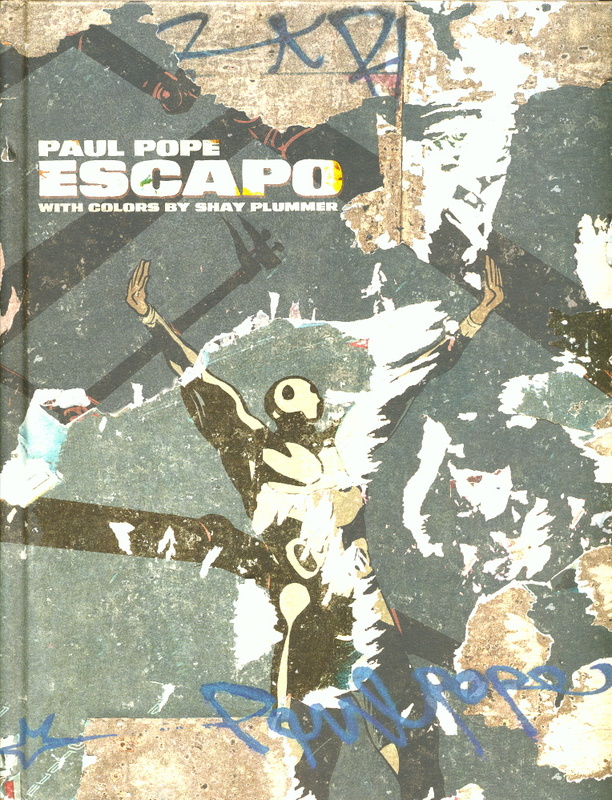 An early Pope work coloured and updated, Escapo in this new format by Z2 Comics is a must read for all Paul Pope fans and a showcase for what can be done in the graphic novel format.